I don't know why Beatles tributes are so popular all of a sudden, but I hope with every part of my whole being that this ends up being the last one. 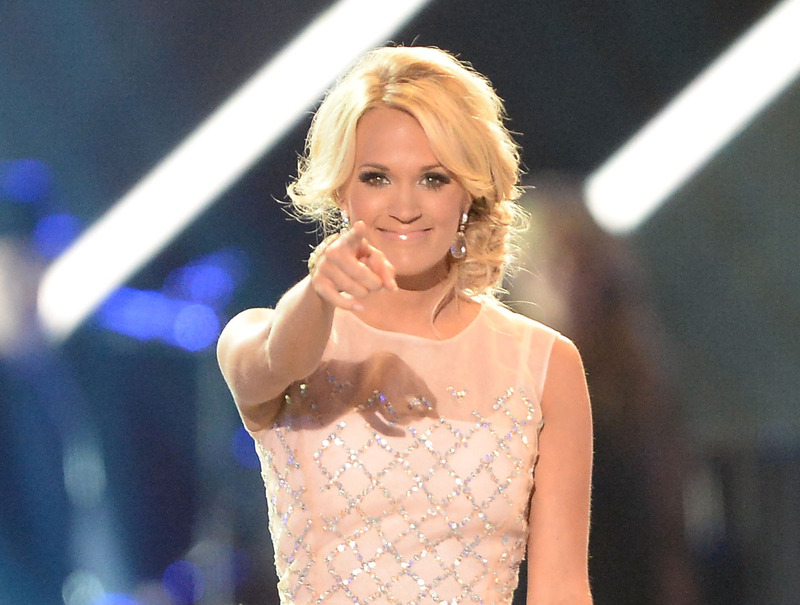 According to Contact Music, Carrie Underwood is reportedly planning on performing a Beatles tribute at the upcoming Primetime Emmy awards this Sunday, to mark the 50th anniversary of the band's first U.S. appearance on February 6, 2014. First Glee has to perform Beatles songs, and now Carrie Underwood is going to belt out "I Want to Hold Your Hand" or something? This doesn't need to happen. Really, the Beatles are like one of those majorly uncoverable bands — in fact, they're one of the only uncoverable bands, because their original works were just that legendary and great. Remember when American Idol tried their Beatles-themed nights? Not only did it seem much too gimmicky even for them, but each contestant ended up performing at their worst because there was just no way to even compare a cover of "Blackbird" or "Let it Be" to the real thing. In addition to being for the 50th annieversary of the band's first U.S. performance, Underwood's tribute will be apart of a segment that, according to The Wrap , "will honor television milestones of that year, including the assassination coverage of President John F. Kennedy on Nov. 22 and the pop culture explosion of Beatlemania." The Primetime Emmys will air this Sunday, Sept. 22, on CBS. I'll be watching THROUGH MY TEARS.